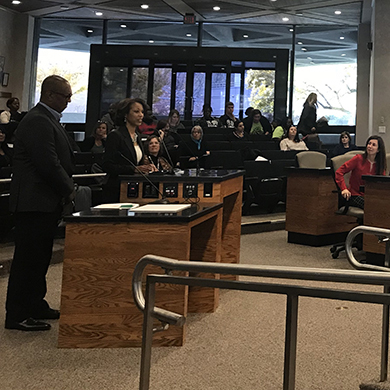 The Sacramento Bee reported on the data presented to the Sacramento County Board of Supervisors that revealed generally positive early results in the campaign’s effort to reduce disparities in childhood deaths in the county by 2020. Read the article in The Sacramento Bee. 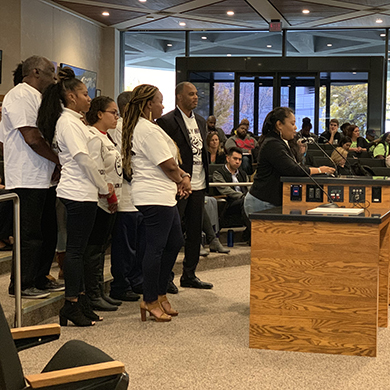 Community members showed their support for the Black Child Legacy Campaign at the Jan. 29 Sacramento County Board of Supervisors meeting, where they celebrated the news about a drop in African American child death rates, and encouraged supervisors to continue supporting the efforts. 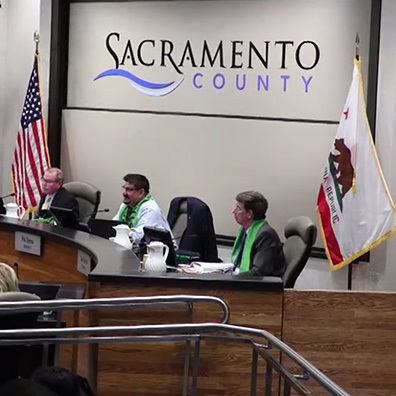 See reports on ABC10 and on CW31, and a post on the Sacramento County web site. 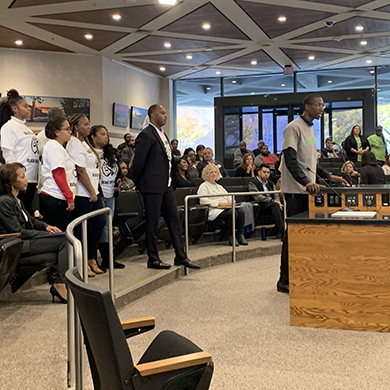 ABC10 reported on the weekly Oak Park Peace Walks, which are a partnership of the Black Child Legacy Campaign, the Greater Sacramento Urban League, faith leaders and the community. See the report on ABC10. Community members, law enforcement and city officials are praising community outreach efforts for this positive outcome. This news has been reported nationwide. See reports on CBS13 and in Newsweek. 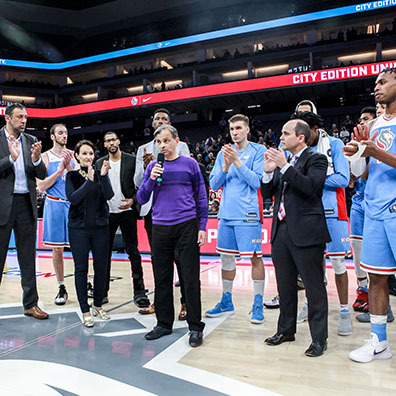 The Sacramento Kings received this award for efforts in partnership with the BUILD.BLACK. Coalition and the Black Child Legacy Campaign. The award recognizes a specific innovative program across the league that advances inclusive practices. 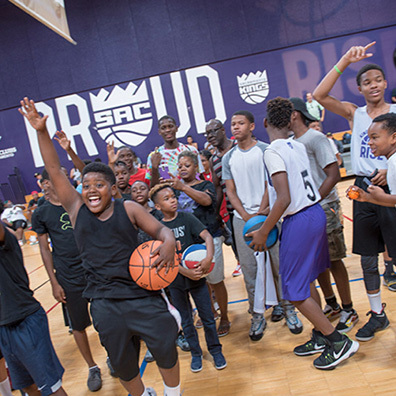 Learn more on the Sacramento Kings web site and see a report in The Sacramento Bee. Photo courtesy of Sacramento Kings. 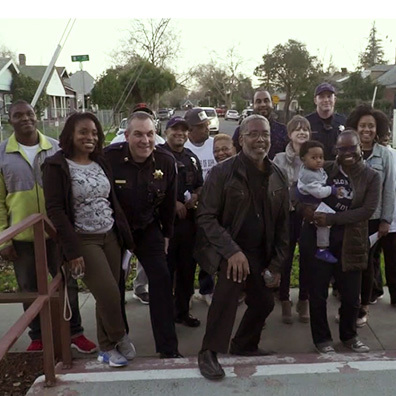 Community-based organizations working in underserved Sacramento neighborhoods will create pop-up youth engagement events that will be held simultaneously throughout the city on Jan. 4 between 3 p.m. and 10 p.m. 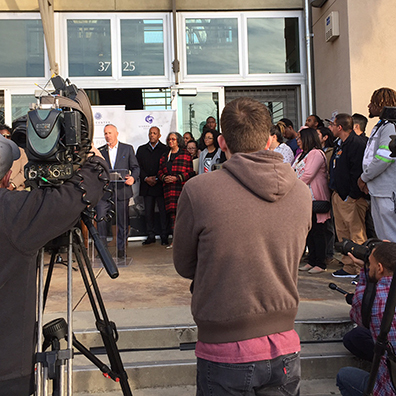 The events will provide positive, safe environments and activities for all local youth as they prepare to return to school. Read the news release and see the list of events. Listen to an interview with Sierra Health Foundation President and CEO Chet P. Hewitt on WNYC New York City. Read this story on the Capital Public Radio web site. 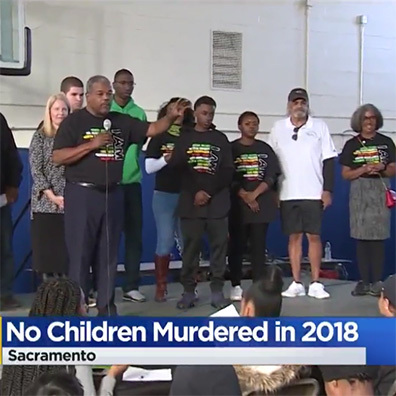 Black children die at a disproportionate rate in Sacramento County. Here’s why that rate has dropped 45 percent. Read this story in The Sacramento Bee.